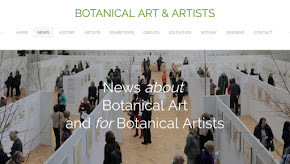 The announcement about which artists have won Certificates of Botanical Merit (CBM) comes after the prizes at the Annual Exhibition of the Society of Botanical Artists each year. I've known more than a few artists who have been more pleased about their CBM than their prize! 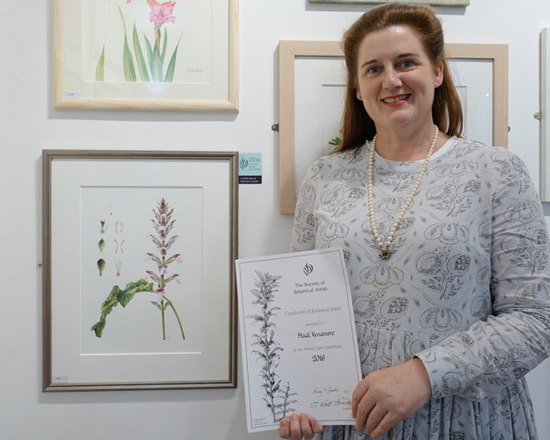 The expert judge for 2016 was Lucy T. Smith, botanical illustrator employed by the Royal Botanic Garden at Kew. She won the Margaret Flockton Award in 2014 and the Jill Smythies Award for Botanical Illustration, awarded by the Linnean Society of London in 2004 . 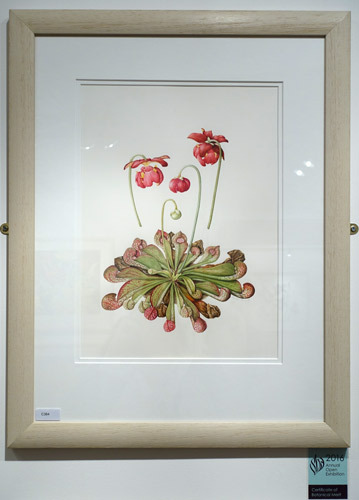 Lucy awarded the CBMs for images which fulfilled the brief of describing the plant accurately and well rather than according to a strict botanical illustration brief. Here's some pics of people with their work and/or getting their much prized CBM Certificates. 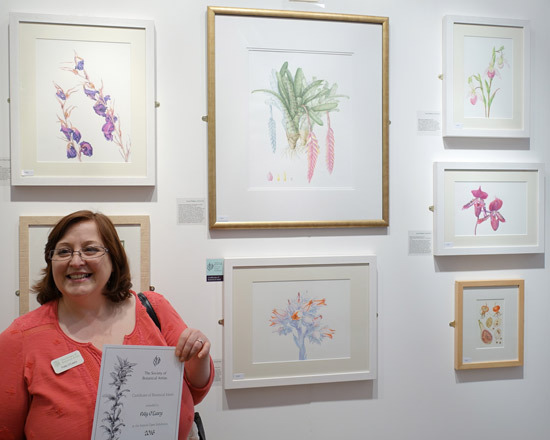 This is Polly's first Certificate of Botanical Merit and it's unlikely to be her last! Billy Showell has won five CBMs prior to 2016 and this is her sixth! It's also an extremely unusual and very striking painting - which you can see below. 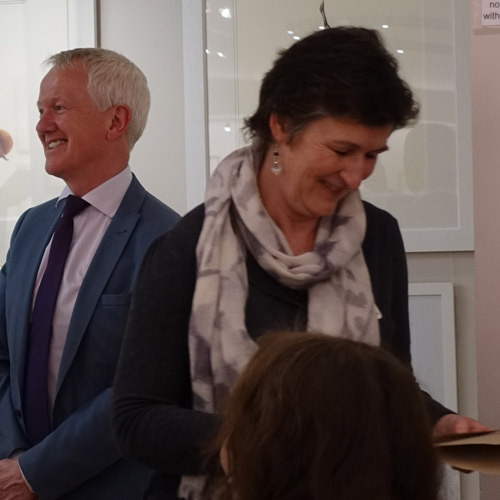 As was Margaret Fitzpatrick - seen here turning away after collecting her second award. 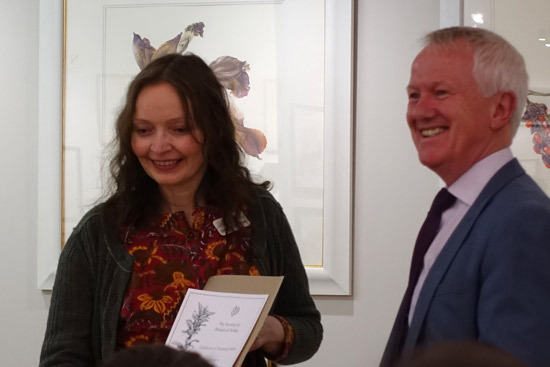 Another smiling artist - Margaret Fitzpatrick picks up her CBM. 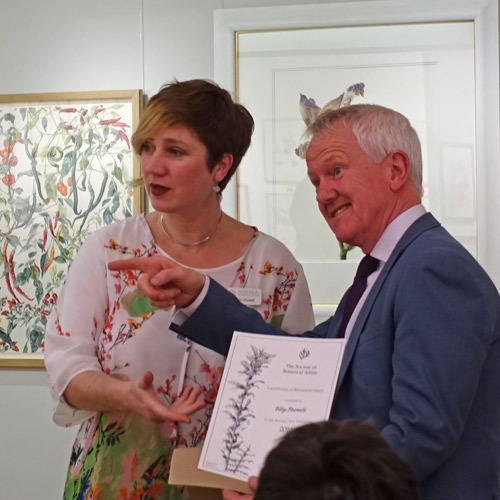 The artists who have been awarded a Certificate of Botanical Merit in 2016 are below followed by images of their work and/or being presented with their Certificate. 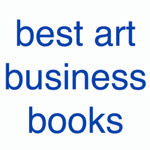 You can find the links to the blog posts of artists winning CBMs in previous years at the end of this post. What follows now are the images of the works which won CBMs. I don't have them all included but hope to remedy this. This is a lovely and very "look at me" painting. 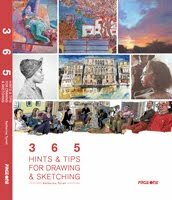 It's also an excellent choice of variety given this year's theme of 'Shape, Pattern, Structure'. Another CBM for Beth - to add to those collected in 2008, 2010 and 2015. 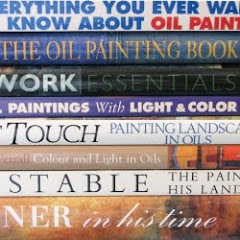 She is becoming well known for her paintings of Sarracenias. 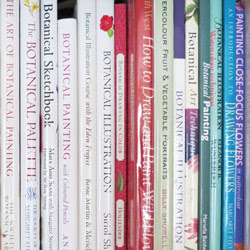 It's never a bad thing for a botanical artist to be known for painting a species. 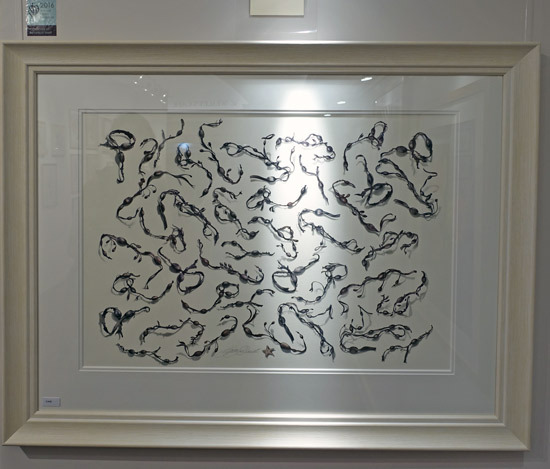 This is an accurate but very unusual and contemporary treatment of seaweed. I liked looking at this a lot. 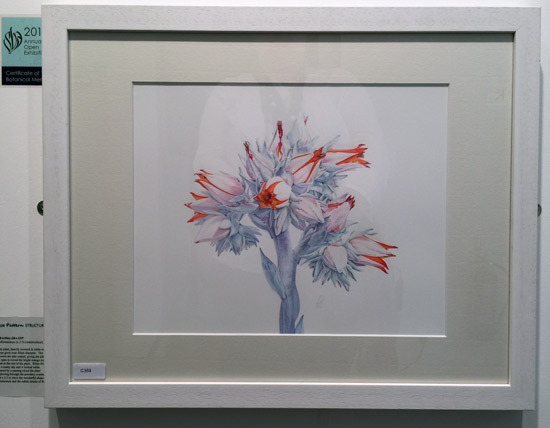 I do like it when artists think about how their plants can be portrayed so they are correctly portrayed but contemporary rather than conventional in appearance. 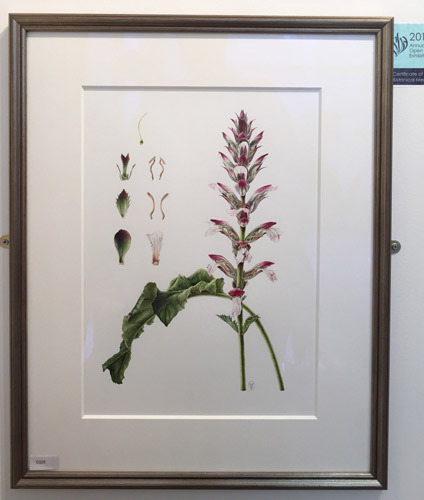 This is a very classical treatment of the Acanthus but Heidi really uses the habit and characteristics of the plant to create the structure and design of the composition - and I suspect this is what appealed to Lucy! 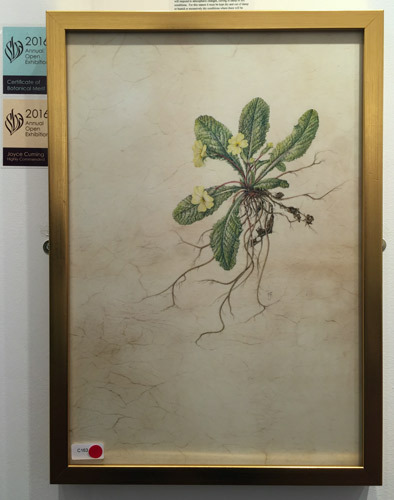 This is the first and only painting Heidi has entered in the SBA Exhibition. She topped off a good week by graduating with a Distinction in the SBA's Diploma the next day. 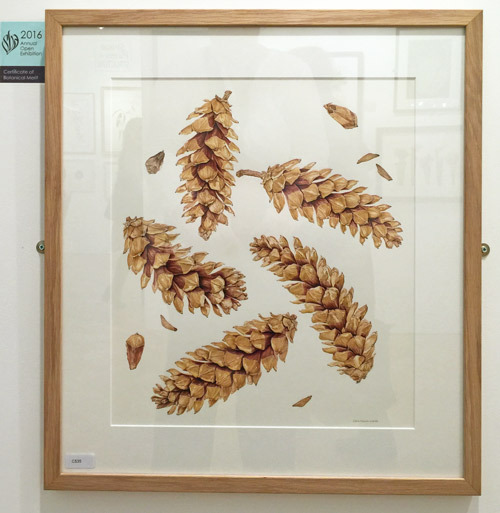 Christiana echoes the design characteristics of her cones in the overall design of her painting while creating a sense of movement associated with the natural falling habit of the cones. 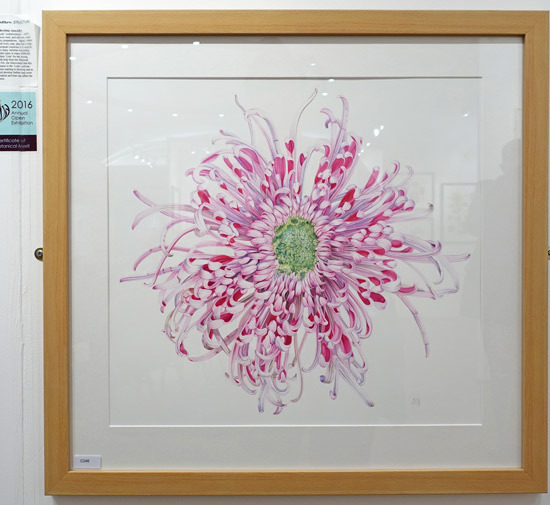 This is a really lovely painting on natural vellum which collected two awards and sold as well! 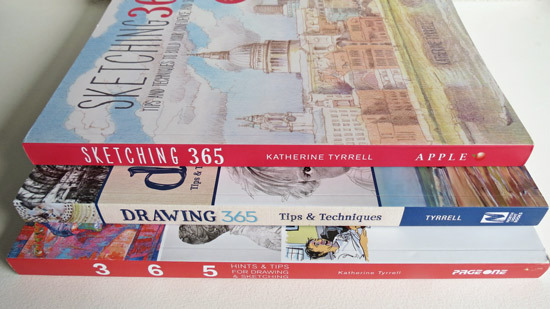 If you've enjoyed this post you might like to look back at similar posts I've written in the last five years. My next post about the exhibition will review it as a whole. For those following the knee saga - the good news is my GP has now ordered an MRI and my new 'Gladiator' knee brace should turn up tomorrow. 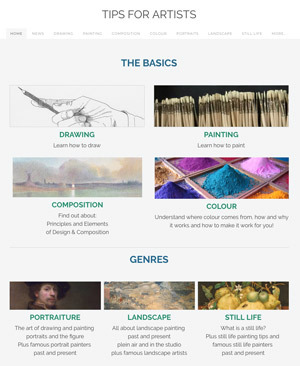 So, fingers crossed, I may be paying a return visit to the exhibition on Wednesday - in which case the review will come after that. In the meantime if you want to see who is doing which demonstrations for the rest of the week you need to consult yesterday's post. 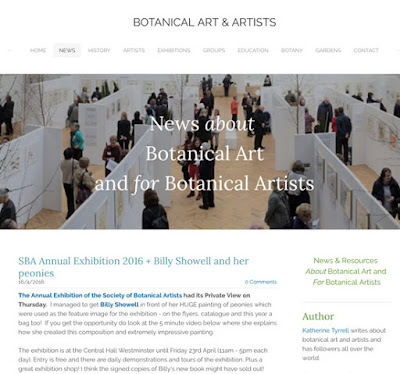 Read my NEW compendium website Botanical Art and Artists - for everything Herbals to RHS Botanical Art Shows to Botanical Latin for Artists - which has just celebrated its first birthday. 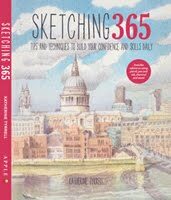 It has had 50,000 visits and well over 80,000 pageviews during its first year on the net and the trend is ever upward! So very deserving for all! 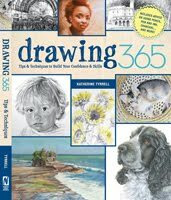 So nice to see that Polly and Heidi, whom I have had the pleasure to meet, are given recognition for their great art!